Something is missing – a feeling so close. I remember that voice lurking in my head. Confronted and haunted, a puppet on a string. Surrendering power, truth fills my soul. my heart has been sold. The smoke stings my eyes, I lower my face. From all her facial orifices leaked the pain of grief, sorrow, and guilt of a broken young woman who messed up big time … again. It was staring at her right in her face for her to see as plain as day. She had fallen again, and this time her whole world was aware of just how messy an addiction to crack cocaine can be. The worst part of it all is that this problem stems from a problem that stems from a problem that is caused by original heinous acts. Gloria is a beautiful woman. Not in the sense of outer beauty (although there was a time when she was a looker without having to try! ), but her beauty is in her inner qualities of compassion, empathy, and outspokenness. In her mid to late 20’s, she’s not one of those phonies (at least when she’s not using) who is nice to your face but talks about you to others when you’re not around. No, Gloria is a straight shooter who “calls ‘em as she sees ‘em” and always takes the moral high road every time. When life goes well for Gloria, she is a bright light in any circle. For the most part, she is an inherent leader and exercises the role efficiently. That’s probably because she actually likes people. Intuitively, she knows how to get help for herself; and when motivated during a profound moment, she tends to act on it. Bless her heart, because she is a take-charge person; and if I ever needed someone in an emergency, Gloria would be the person I would want to have around. Unfortunately, for far too long, there has been this problem with crack. Actually, the crack problem has her. Based on her wretched past experiences of life, Gloria is a prime candidate to be sucked into the vacuum of the worst drug ever invented. 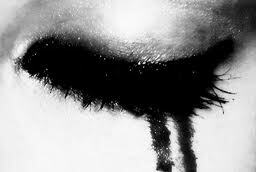 She is a wounded soul living under the weight from unspoken and unresolved grief because, regardless of where she looks around in her world, she is reminded daily of the knowledge of the past transgressions against her. Worst of all, the profound powerlessness she feels prevents her from seriously considering even beginning the journey towards personal resolution and inner peace. There is a relentless and enduring amount of pain she has not yet learned to tolerate every day that begs for her to be heard, acknowledged, and believed. Gloria is not always sure what makes her feel the greatest. The anticipation moments before that feeling of euphoria and safety, or the out-of-body calm afterwards that drives her to the next hit … and the next hit … and so on. What makes this whole world of crack worse is that new benchmarks have been set for the social misery it brings with it. It is cheap and made affordable to even those living in poverty. It is easily available if you are looking for it; and easier to ‘come on, just try it out once’ (it only take 1 to 2 hits to get hooked); and the worst of all – it sets new lows for ‘bottoming out’. For crack, the victims will do ‘almost a-n-y-t-h-i-n-g’ – more risk-taking than all other drugs, for their next big hit. Sadly, this is where Gloria always ends up. Yet, when the time comes to pick herself up and start putting the pieces back together once again, the realizations in her sobriety from crack literally wrenches … and tears … and presses … and tightens her chest and heart until it overwhelms her belief in herself. Her experiences remind her that it is not the crack that is the problem – that is just the effect; rather, it is in the original cause of everything in the first place that have since cause innumerable effects like the ripples of a stone thrown in still water.